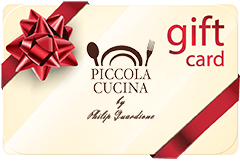 Limoncello contains all the taste and fragrance of the most important fruit in the Mediterranean, lemons, which are grown in citrus groves that extend from the Ionic coast right up to the slopes of Mount Etna, in Sicily. This brand of Limoncello contains all the taste and fragrance of the most important fruit in the Mediterranean, lemons, which are grown in citrus groves that extend from the Ionic coast right up to the slopes of Mount Etna, in Sicily. It is made from a perfect mixture of lemon peel, sugar and pure alcohol. In fact, it doesn’t contain any other ingredients or preservatives and for this reason is one of the most authentic alchoholic drinks. 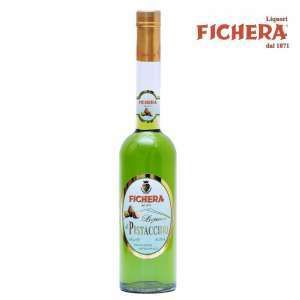 This Limoncello is produced at the distillery which, after being taken over by Commander Alfio Fichera in 1924, became Fichera Liqueurs, although its original roots derive from 1871, more than a hundred years of production. 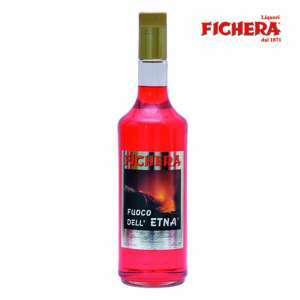 The Company, therefore, has many decades of experience in producing liqueurs in a traditonal way , which guarantees very high standards of quality. 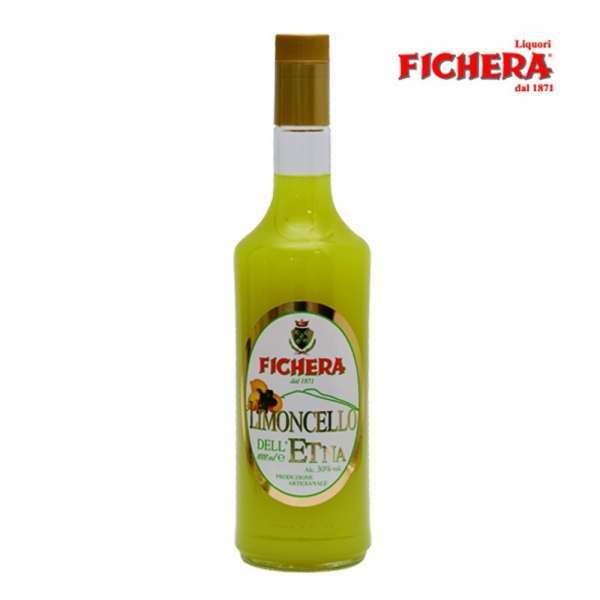 Fichera’s Limoncello from Etna is sold in 500 ml bottles and has a 30% alcohol content. The ingredients are: alcohol, sugar, infusion of lemon peel.